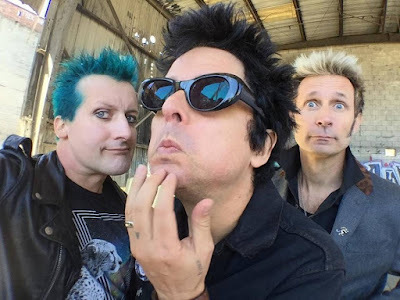 Green Day opened the Revolution Radio North American club tour at the Newport Music Hall in Columbus, OH on September 26 and video from the show has surfaced online. Originally scheduled to open in St. Louis, MO on September 20, the group also postponed stops in Chicago, IL (Sep. 21) and Detroit, MI (Sep 24), while a Toronto, ON appearance at the World Cup Of Hockey Fan Village on September 23 was canceled. Due October 7, “Revolution Radio” was recorded at Billie Joe Armstrong’s new studio in Oakland, CA.